Wide span shelving is easily accessible. It is quick and easy to assemble. It is also easy to configure and adjust with changing objectives. Wide span shelving is designed to handle loads that normal shelving would struggle with. CSI offers a variety of wide span shelving to meet your unique applications and objectives. 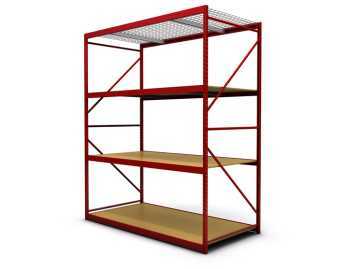 We also offer Steel Shelving, Rivet Shelving, Shelving Carts, as well as Wire Shelving. IF you need more storage space within a limited footprint consider Shelf Supported Mezzanines.